Shortly after moving into our home in the country, a male hummingbird came to visit me. 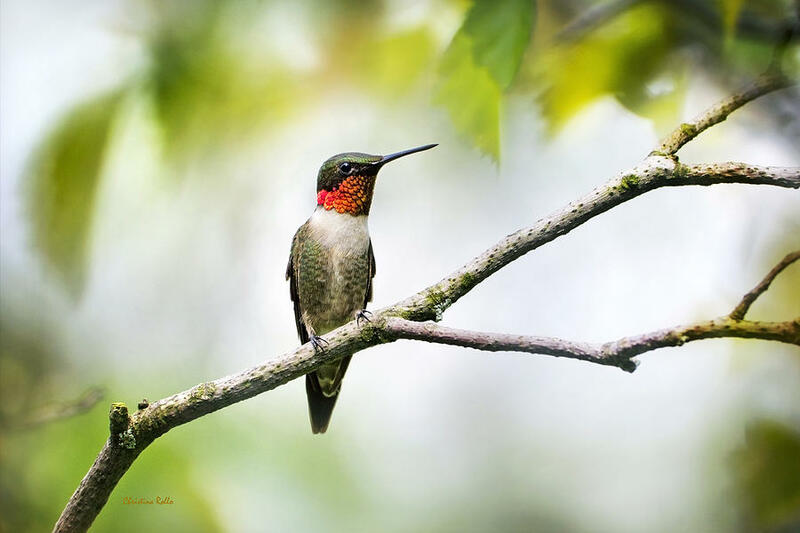 I was standing on our open deck in early May when a male Ruby-Throated hummingbird flew right up to me. It hovered for a few moments, made eye contact, and behaved as if it were curious about me. I had never encountered a hummingbird in this way before. The experience changed my life. Immediately, I went out and bought a hummingbird feeder. What I thought was a single hummingbird, returned to visit our feeder every day. I found the bird to be quite friendly. 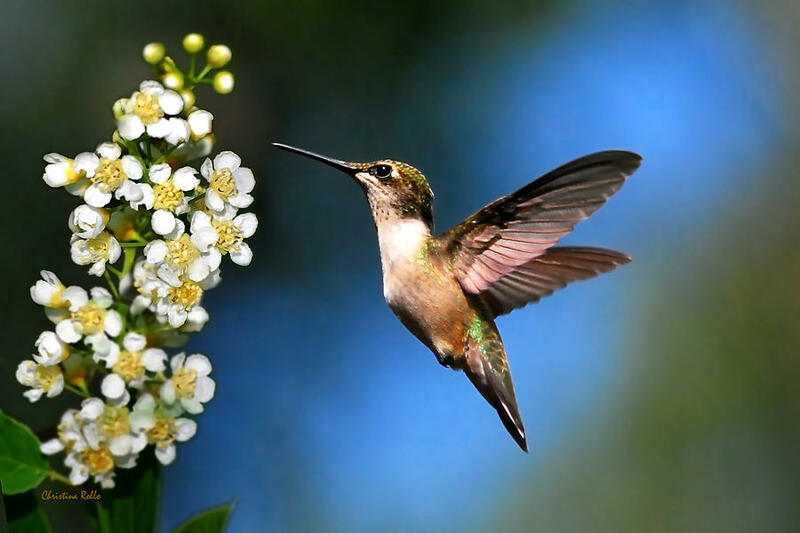 If I was outside wearing a colorful shirt, the hummingbird would fly right up to me. Inspect my clothing to make sure I wasn’t a flower, and then fly away. At the end of the summer after hanging my first hummingbird feeder, my mother asked if I wanted hers. 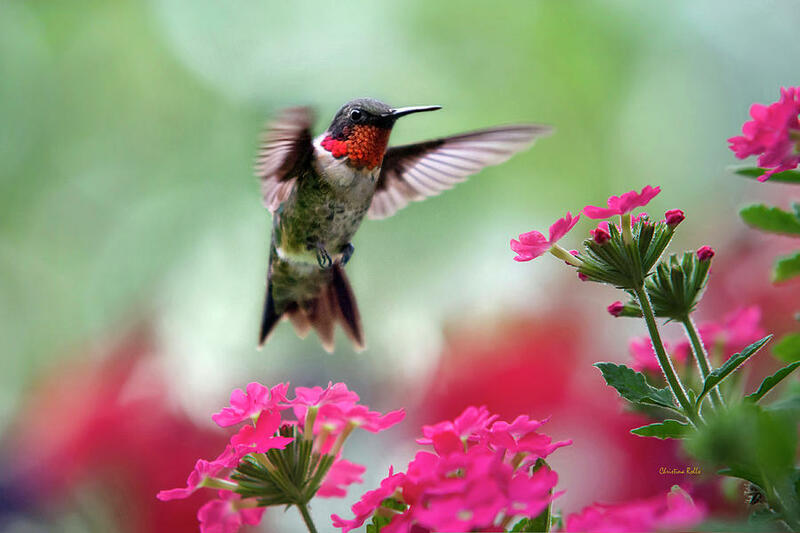 She had hung hers out all summer long, but never saw a hummingbird. I took her feeder, filled it, and hung it opposite the other feeder, several feet away. At that moment something magical happened. Dozens of hummingbirds flocked to the two feeders. They began lining up on our chain link fence, and in the surrounding trees waiting their turn to take a drink. The following summer I bought an additional feeder to accommodate the flock of hummingbirds I expected to return. 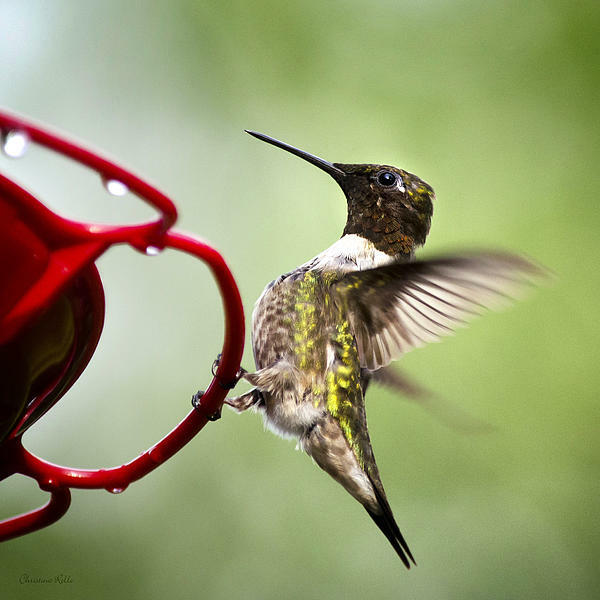 Sure enough, during the first week of May, dozens of hummingbirds came to feed. The hummingbirds quickly grew tolerant of my constant watching, and let me approach very closely. About the same time, I purchased my first digital camera, the Olympus C765. I never thought I could take a photograph of a hummingbird with a point and shoot camera, but I was challenged to do so. It wasn’t long before I learned to capture them in flight. I don’t think my hummingbird photos would be possible if not for the large number of Ruby-Throated hummingbirds that migrate here each year. We see them constantly. I’ve learned where they perch and how they behave. Patience was never an issue. If I missed a shot, there was always another hummingbird following quickly behind. In the summer of 2011 it was suggested I try to hand feed our hummingbirds. Late in the season, I began sitting for a couple of hours each day, with sugar water in my hand. Although many hummingbirds came very close, none actually fed from my hand. Trying to hand feed hummingbirds did require a great deal of patience, and I frequently became frustrated. After about two weeks of sitting daily, I decided to change my strategy. I dressed in red and held a bee balm flower in my mouth. I was pleasantly surprised, it didn’t take long for one of the hummingbirds to feed on the flower I was holding in my mouth. It was a very exciting moment, one I will never forget! The first hummingbird that came to visit changed everything for me. Now they are like guardian angels, and I feel so blessed to have them around. I’m excited to be introducing Wall Tapestries as the freshest decor to compliment homes around the world! My new wall tapestries are available in three distinct sizes and are made of 100% lightweight polyester with hand-sewn finished edges. Featuring vivid colors and crisp lines, these highly unique and versatile tapestries are durable enough for both indoor and outdoor use. Expect these tapestries to get scooped up just in time for a wild festival season. Or for the indoor types, tapestries serve as a versatile addition to make any space pop – walls, couches, beds, chairs, the possibilities are endless. Check out all my available Wall Tapestries HERE. Christina Rollo is a New York based, Fine Art Nature Photographer, who seeks captivating moments. Her passion for animals has led her to take many photos of wild animals, pets, nature and landscapes, as well as a variety of other subjects. Her fine art collection includes superior quality photo prints, canvas, acrylic, framed art and greeting cards. Buy fine art online for home or business, bring a little outdoors in! Please visit my official website www.rollosphotos.com to shop from my entire collection of fine art. 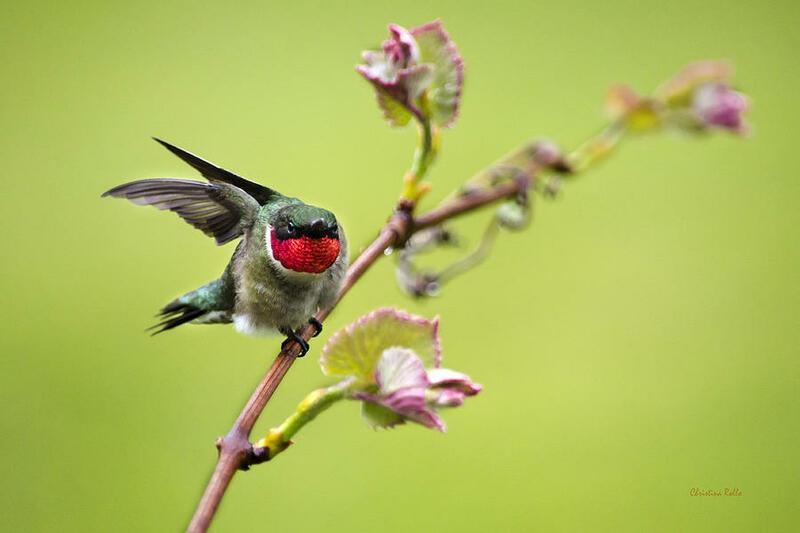 Easy steps to keep your hummingbird feeders insect free. Do you have a problem with ants and other insects getting into your hummingbird feeder? 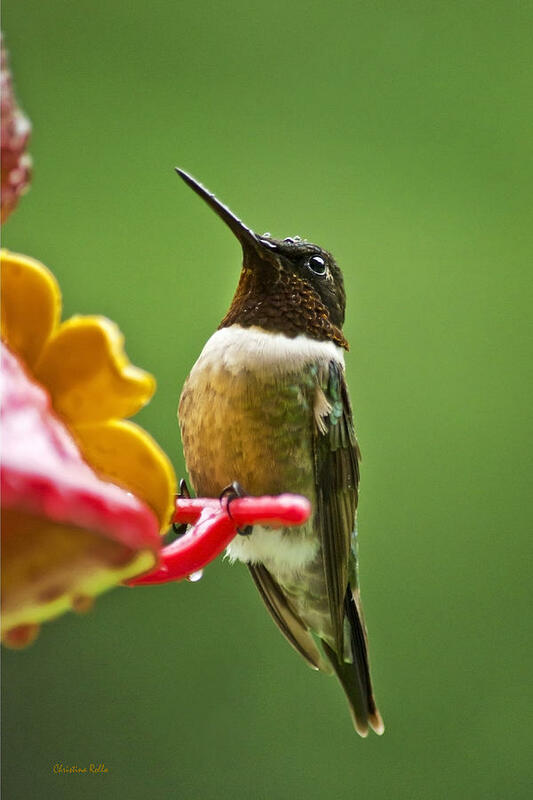 Would you like a few tips on how to keep them away so you can enjoy more hummingbirds? The first thing you might want to do is consider your location carefully. Look around, are there rocks and logs near the area that you want to hang your feeder? These are places ants like to hide and build their homes, avoid these types of area. 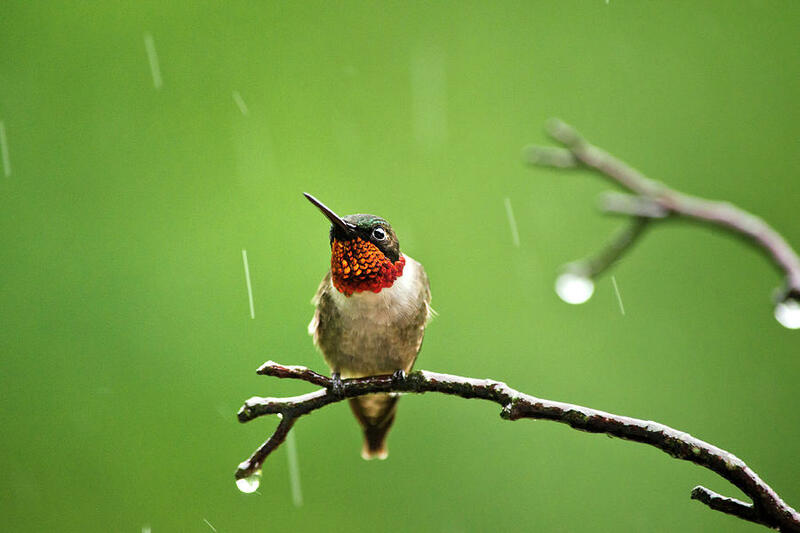 Hang hummingbird feeders high from a hook in a location where you can see and enjoy them. Try hanging them from a gutter or a tree rather than a pole in the ground or some place low where ants can easily climb up. Check your feeders daily for cracks or drips and keep them clean. Clean feeders at least once each week. Any sugar water dripping on the ground will attract ants to your feeder. If you find a drippy feeder, it should be replaced. Use an “Ant moat” to keep ants off. You can make one by punching a small hole in a plastic soda bottle cap and then stringing it on your feeder hook right side up, with the open area facing down. Fill the inside of the cap with (Vaseline) petroleum jelly. Ants will avoid the greasy moat and won’t be able to cross for access to your hummingbird feeder. To deter bees and wasps soak a cotton ball or Q-tip with vegetable oil and brush it on feeder holes. The oily surface will prevent insects from landing there. 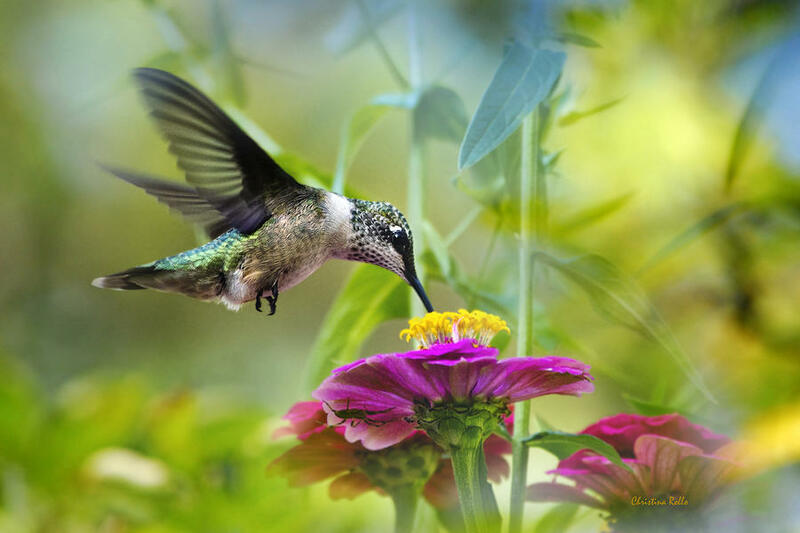 Try planting desirable flowers such as coneflowers or monarda near the location of your hummingbird feeders. This will give bees another option to feed on, and the hummingbirds will be attracted to them too. Search: colorful, nature, hummingbird, bird, wildlife, avian, mammals, color, outdoors, hummingbirds, beauty, red, flower, green, fauna, framed art, rollosphotos. Introducing my new greeting cards at a new low price! I’m excited to announce that my artworks are now available on greeting cards from Greeting Card Universe! With over 500,000 cards and 5,000 artists they are a leading greeting company with lots of happy customers. What does this mean for you? 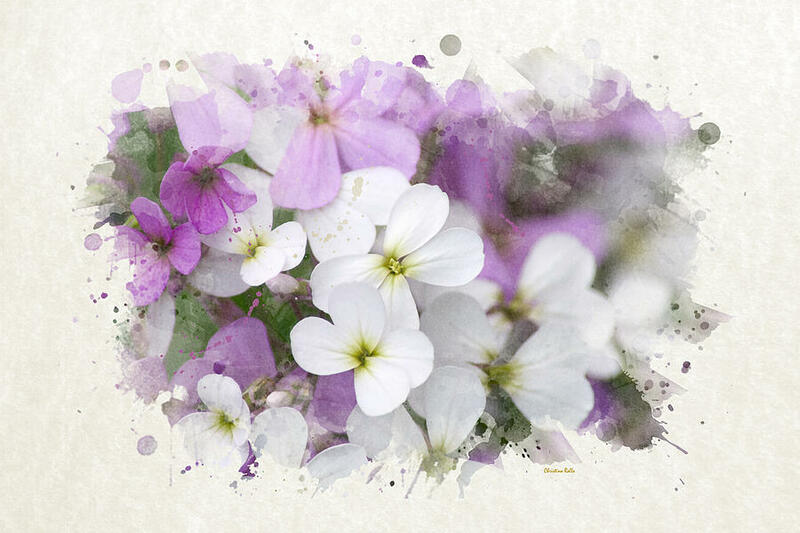 Now you can buy my artworks on large 5×7 greeting cards for yourself, your family, and friends at a very low price of $3.50 per card including envelope, and as low as $1.49 for quantities of 500 or more! Currently there are three categories for you to choose from, any occasion blank note cards, thank you cards, and inspirational cards. All of my greeting cards are blank inside for you to customize your own personal message. Be sure to visit my greeting card store often because I plan to add many more cards to my collection soon! 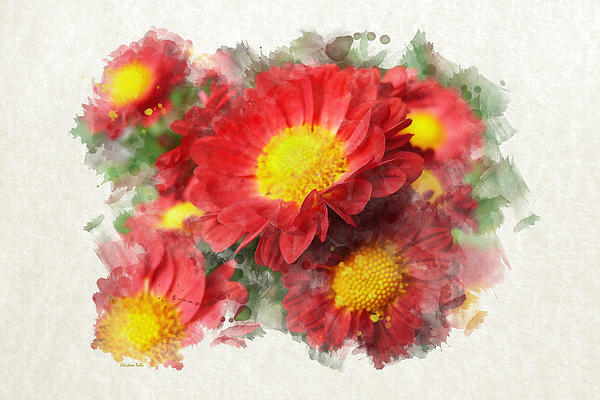 Check out all my latest greeting cards HERE. Find a card, personalize your message and Greeting Card Universe will ship it anywhere. Plus you get free shipping in the U.S. on orders of 5 or more cards, or free in store pickup at Target. Also check the top of my home page for additional sales and savings!